Elena’s Paella Having not eaten paella for a while, I was really pleased to discover Ele’s Little Kitchen at the first ever South Glos Food and Drink Festival this weekend. 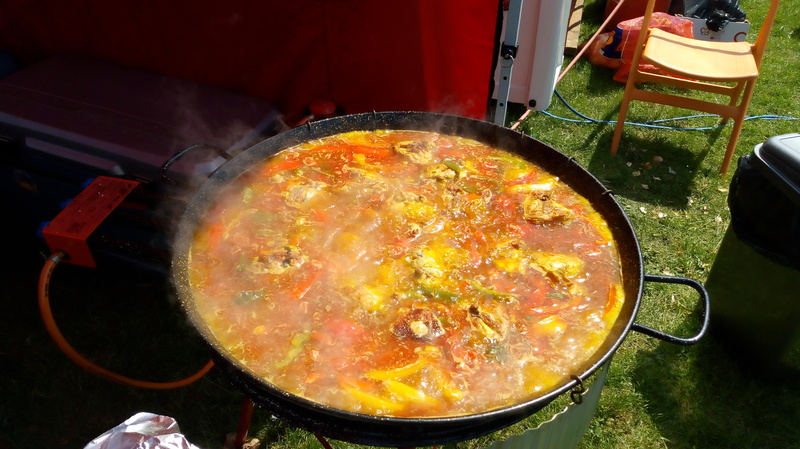 Ele – short for Elena- is from Murcia in Spain and uses authentic Spanish ingredients such as pimentón (paprika)in her paella. I was hoping to try the seafood version, but unfortunately, it had all sold out. So, I ordered the chicken one and watched Elena cooking it in the sunshine….